For most people around the world, art and painting isn’t just a mere hobby. For them, it is a profession and a way of living. While painting is definitely an innate talent, one requires a certain level of training as well. 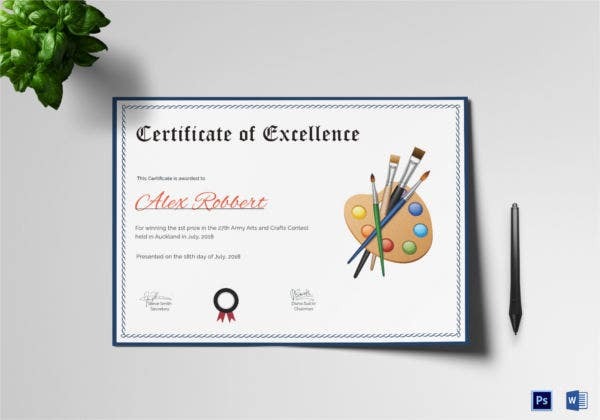 Once you receive that certificate of completion, you can call yourself a professional artist. You may also see Certificate Templates. Similarly, painting competitions are also organised from time to time. Here, winners and the other participants are handed certificates. 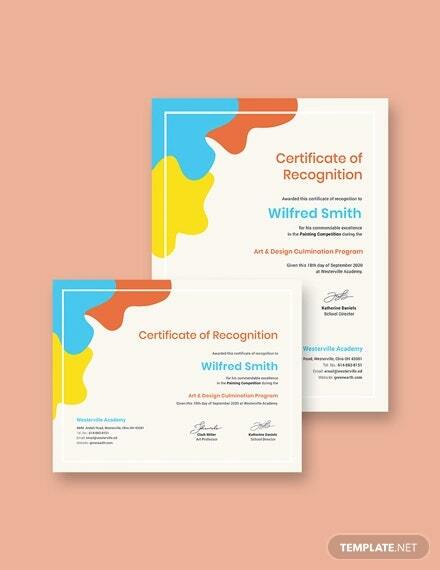 To design the certificates, one can use the templates below. The template that you see here contains an attractive black, white and yellow colour scheme. It follows a CMYK colour mode and contains high resolution images. It comes in an easy to use format. 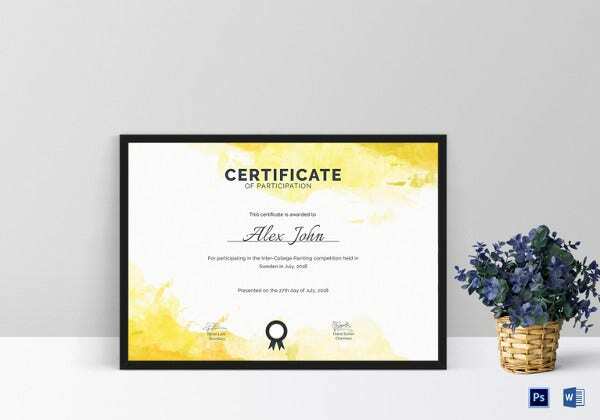 This painting certificate would be perfect for a student graduating from art school. It contains a unique colour scheme and a neat layout which you’re sure to like. Also, it comes in Word or PSD format. This certificate of painting keeps it entirely about the main theme and is devoid of irrelevant stuff. Also the template comes in a standard size which is easy to use and edit. The beautiful template that you see here contains splashes of bright colour across the template. That gives it a very artsy feel and makes it just right for the occasion as well. This template has a very no nonsense look about it. It keeps it simple, concise and short. That makes it look attractive and adds to the charm. Also, the textual elements are bold and well defined. > How can the Painting Certificates be used? Art competitions are pretty popular. People of different ages take part in such painting competitions. In such cases, both the winners and the other participants are handed over certificates. 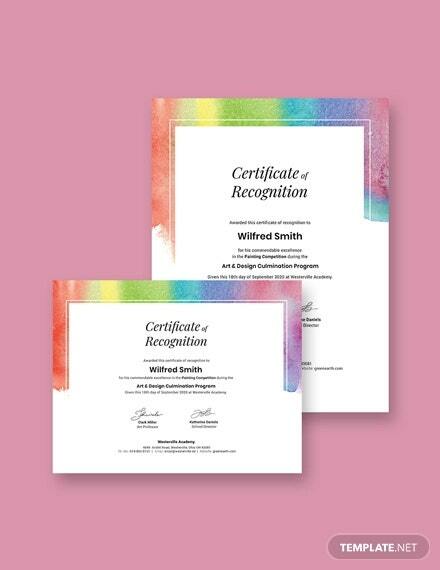 The above certificates can be used as certificates of excellence or participation. Many people take part in courses that teach the nitty gritty of painting. 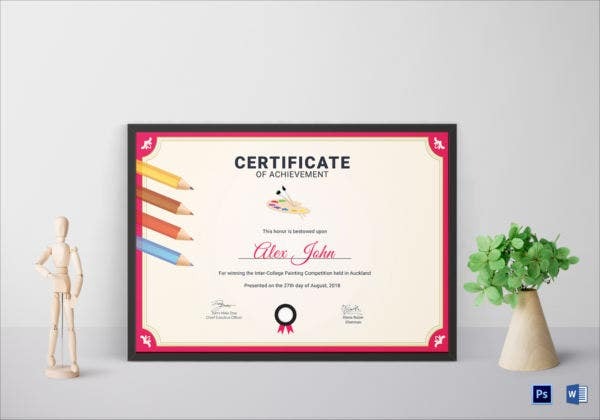 Once the course is completed, the teacher is supposed to hand over a certificate of completion to the student. 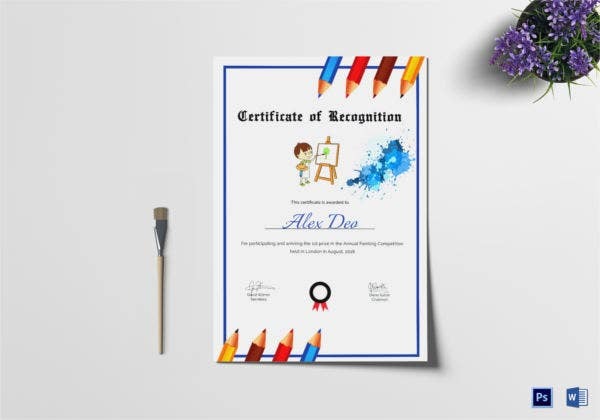 This certificate can enhance one’s resume and would establish him or her as a professional artist. 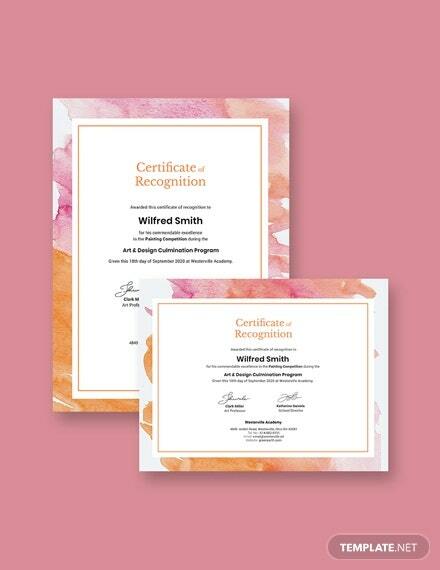 > Why should you go for the Painting Certificates? 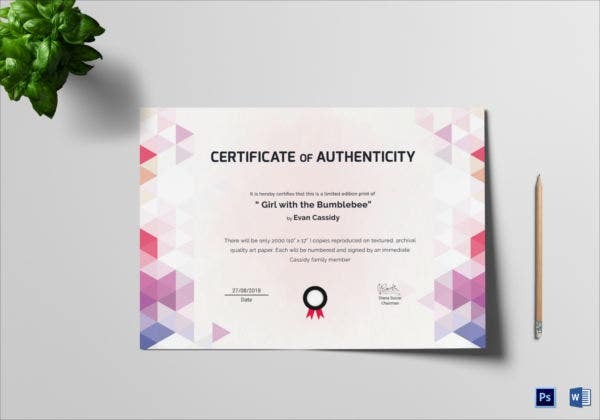 These templates follow the official format of a certificate and strictly follow the pattern that is universally accepted. They have been designed by the pros; that gives them the professional touch that a certificate must possess. 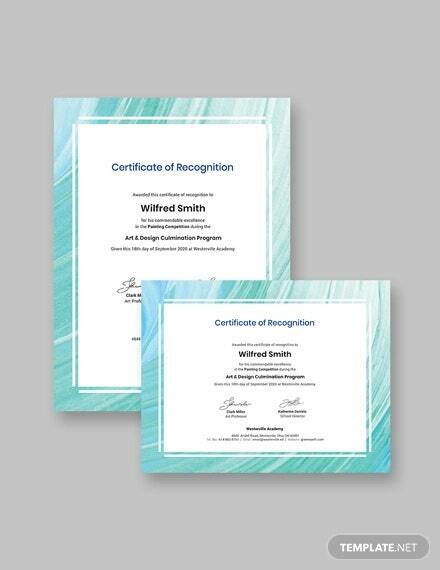 The certificates come in either Word or PSD format. Both formats are easy to use and edit. The text and the colour on the template may be changed as per your requirements. That makes them 100% customisable. If you are organising a painting competition or have an art school, then you’re surely going to appreciate the above templates. All you have to do is browse through this collection of templates, download the one that catches your eye, make edits to it and then print it. It really is that easy!